This week the Weekly Photo Challenge asked us our definition of Inspiration. This is one of my favourite photos from my time in Nepal. 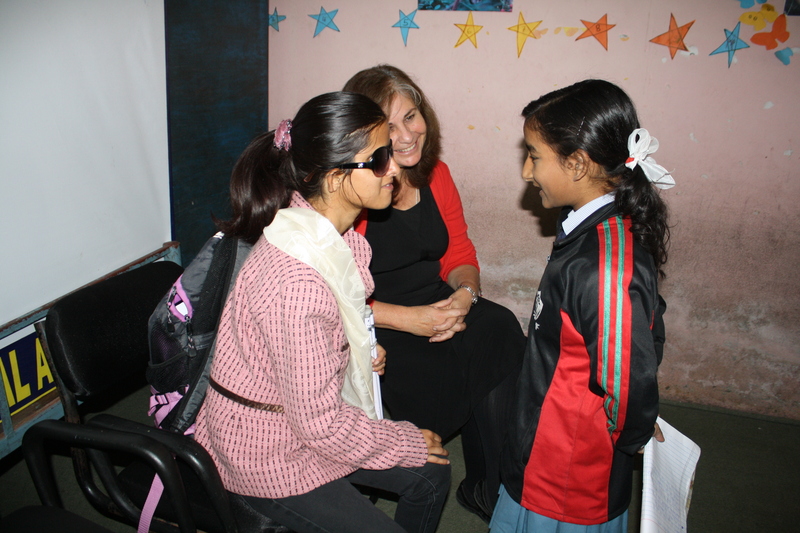 I took a blind Nepali exchange student (who had recently returned from study in the US) to a Kathmandu school to talk about her experience in America. She was an inspiring speaker who talked about the challenging of tackling a culture very different to her own, not only as someone who had never been out of Nepal, but also as a blind person. The audience loved her, especially the girl in the photo, who stayed at the end to ask so many questions. For me, it was the very definition of inspiration. That must have a been an amazing experience.